I know I’ve been gone a long time but I’ve been travelling through the UK, Europe and the US. I’ve had a lovely break but now I’m back and ready to start sewing again. I went to England for my daughter’s wedding and it was just beautiful. The weather was perfect, the setting, stunning and everything went like clockwork, thank God. 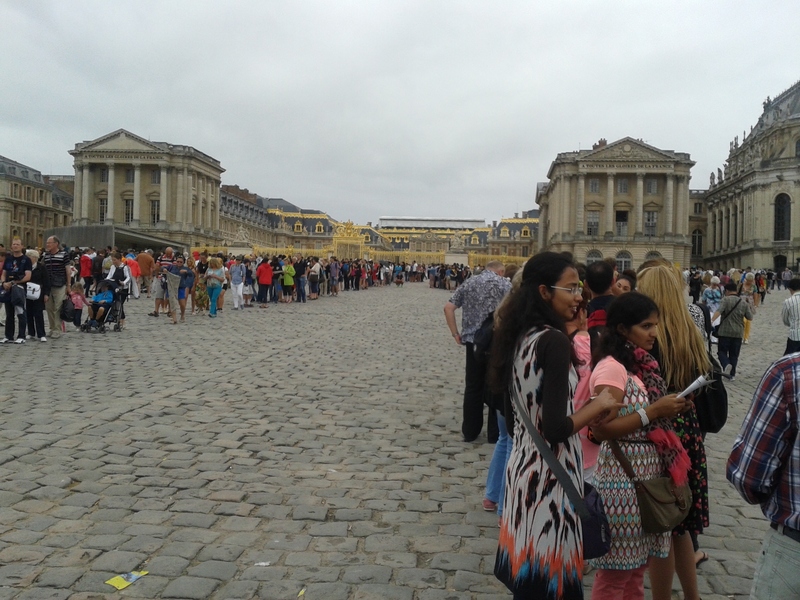 This is the queue to get into the Palace of Versaille! 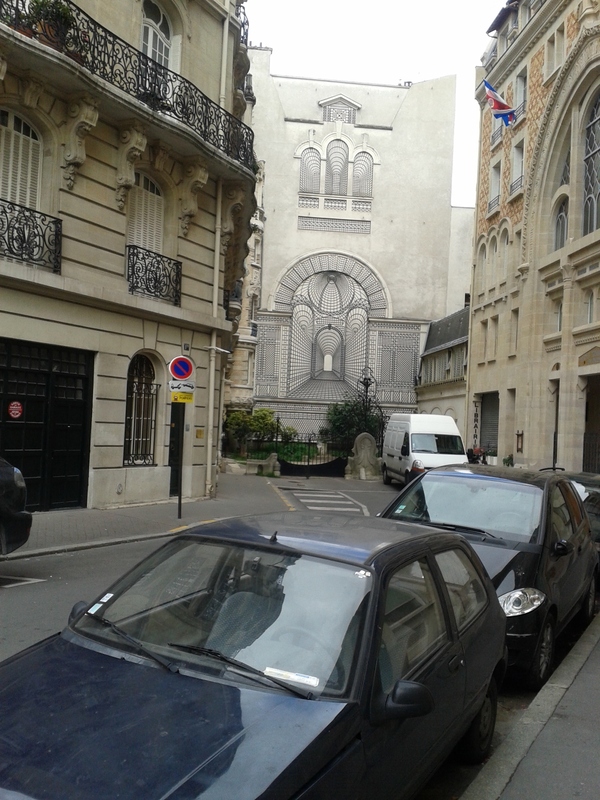 This is a very clever trompe l’oeil done with wrought iron on a blank wall. Isn’t it effective? 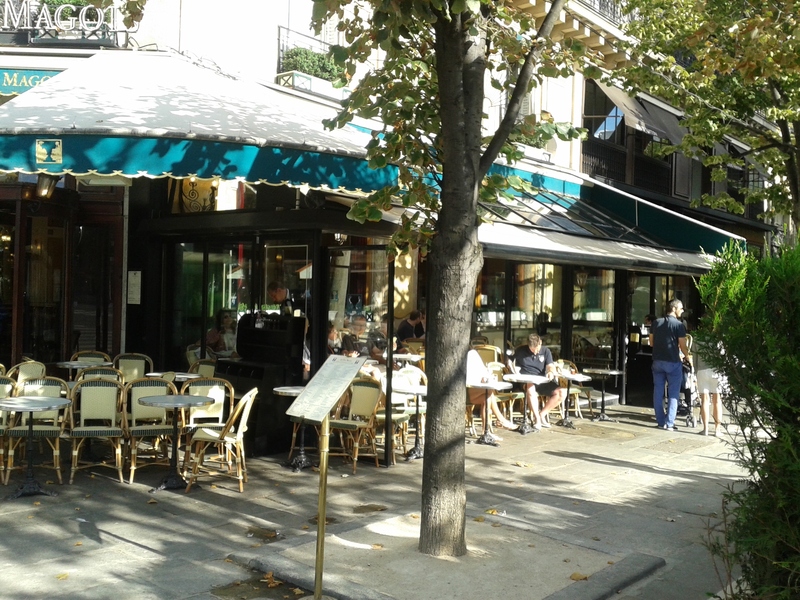 This the famous cafe Les Deux Magots where all the writers and artists used to congregate years ago. People such as Simone de Beauvoir, Jean Paul Sartre and Pablo Picasso. As we were staying in Montparnasse we decided to take a look at the Montparnasse Cemetery which is huge. There are no maps available though telling you where the famous are buried. However, we enjoyed the peaceful ambience and the variety of tombs and headstones from all the different religions. 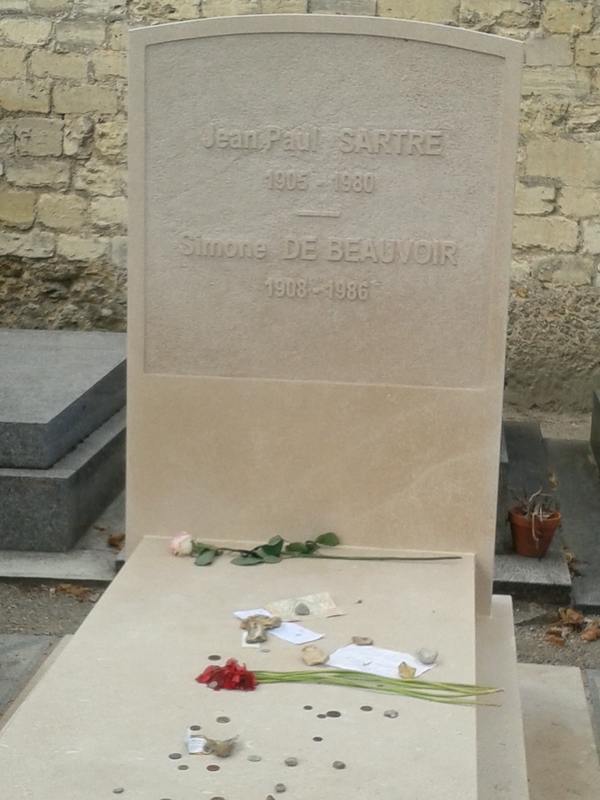 On our way out of the cemetery we came across the tomb of Simone de Beauvoir and Jean Paul Sartre by accident. 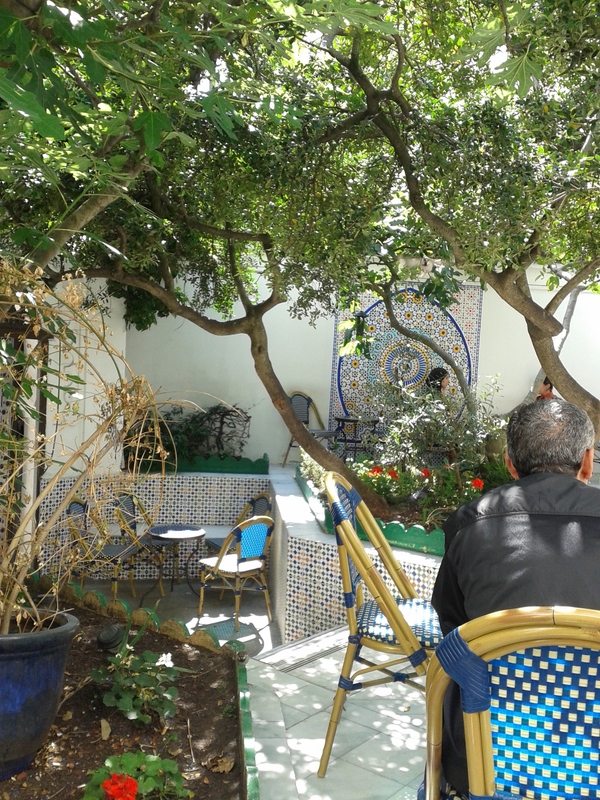 On our last day we visited the Paris Mosque which is built in the mudéjar style and which has a restaurant and tea garden. Unfortunately we didn’t have time for lunch which smelled and looked amazing but we did have mint tea and Middle Eastern pastries which were the best I have ever had. 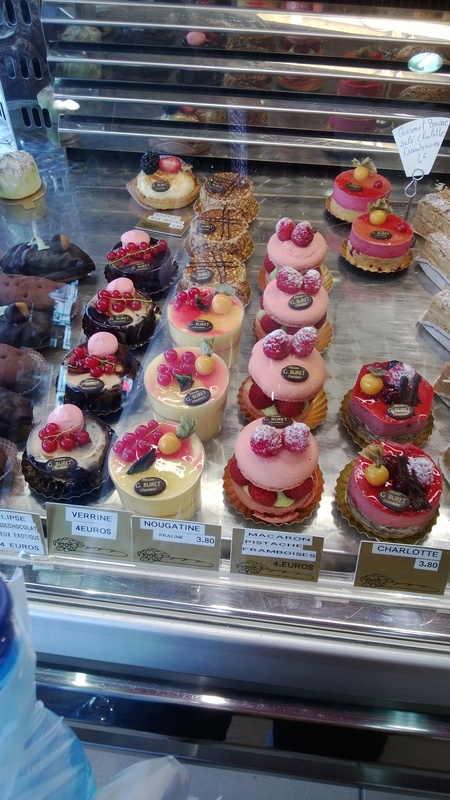 Speaking of pastries… You can’t go to Paris and not indulge in the offerings of the local Patisserie, now can you? I did say almost! Aren’t they gorgeous? 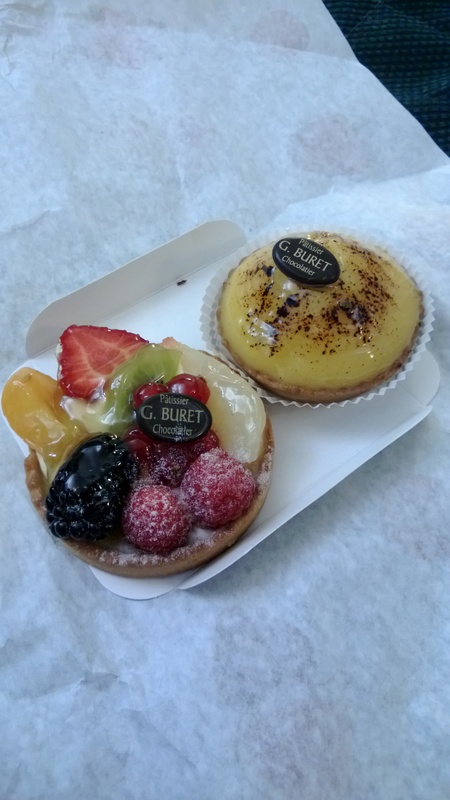 I chose the fruit tart and my daughter the lemon tart. Both were so good we were forced to buy another set the next day just to make sure it wasn’t a fluke. It wasn’t. 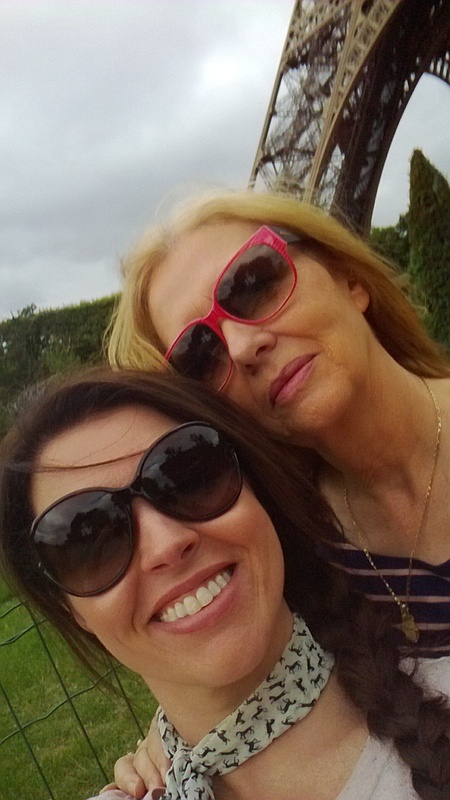 The best news is that we did so much walking that despite the gorgeous food we both lost weight! Win/Win! We visited the Eiffel Tower not because we wanted to go up, which each of us has done before, but because the last time we were here together my daughter was 11 months old and we sat together under the tower. So much time has passed! 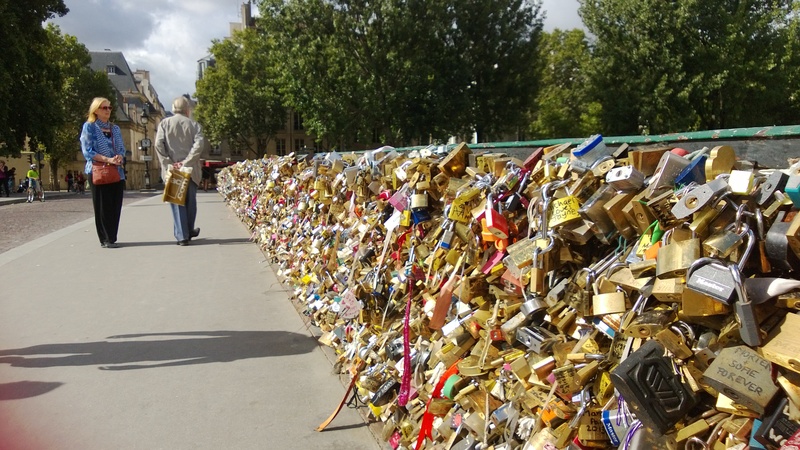 This is a picture of the Pont de l’Archevêché where lovers pledge their love with a padlock to the bridge and throw the key in the water. It’s on the Seine near the wonderful Notre Dame Cathedral. I hope you enjoyed these photos. I didn’t want to show all the tourist type shots which everyone has already seen so forgive me if I didn’t show the Louvre, the Musée D’Orsay and other tourist attractions in detail. What a fabulous trip and. To spend it with your beautiful daughter must have been incredible. Thanks Terje. It was a great trip and one I’ll treasure always. You have a beautiful daughter- figures as you are a beautiful lady- inside and out. Thanks Annette. What a sweet thing to say. I really enjoyed meeting you in the OBX. I’d love to share some photos of your quilts if you agree? The pictures were lovely, and my favorite was of beautiful you and your beautiful daughter! I’m so glad you’re back. I’ve missed you. 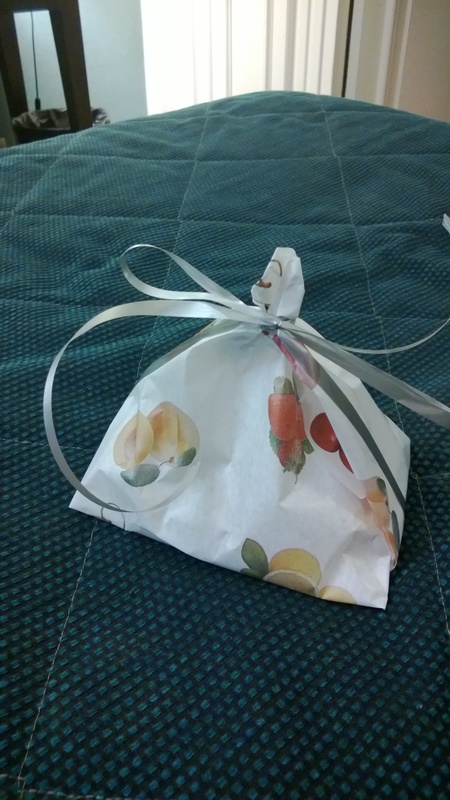 Thanks for sharing your wonderful trip! What a lovely occasion! Hi Annette We missed you in the OBX. So sorry you couldn’t make it. Welcome back! Sounds like you had a great trip. Travelling with daughters is the best! Thanks Doris. Glad to be back. Sorry we didn’t get to meet.